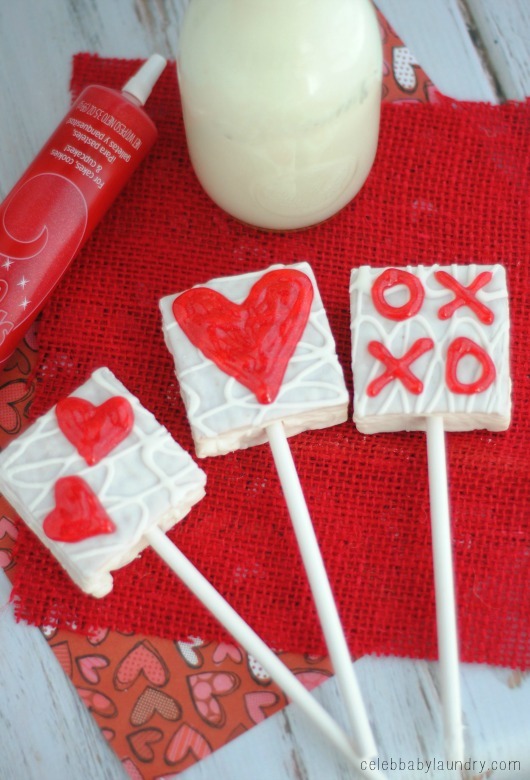 Spark your kids decorating creativity with these Valentine’s Day Vanilla Cake Heart Pops. There’s no baking involved and perfect for parties. Youngsters will have fun ‘drawing’ hearts, X’s and O’s on each fancy cake. 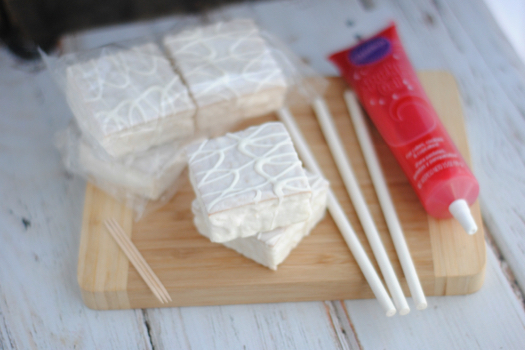 Be sure to refrigerate the pops in a sealed container, so the treats can be enjoyed after the day of love. 1. Open the Fancy Cakes and discard the wrappers. 2. Use the Wilton gel icing to ‘draw’ Hearts, X’s and O’s on each Fancy Cakes. 3. Outline the shape and then fill it in using the icing. Use a toothpick to smooth the gel evenly out and too fill in the holes. 4. Lastly, insert a lollipop stick into the base of each Fancy Cake. *Makes 10 servings. 1 cake = 1 serving. ENJOYED THIS SNACK? PLEASE SAVE IT TO PINTEREST!